IS YOUR IDENTITY COMPROMISED ALREADY? Releasing your personal information , is just as bad as walking naked on the streets! We have all answered some kind of survey sometime in our lifetime, and we have all probably wondered what was the purpose of these questions. Personally, it does bother me when I am prompted to respond personal questions, to a perfect stranger. Especially, when they want to know how much money I make, and how many kids I have living at home. Years ago, surveys were about being approached on the streets, or by phone by the surveyors, today everything is done through the Internet, which makes it even more risky to disclose personal information, due to the growing nightmare of Identity Theft. The results will reveal not only specific groups of people's preferences, but also a way to better approach those groups in the future. Studying the preferences and particular characteristics of these groups of people, gives the researchers a better understanding on how to develop new future possibilities of a more effective approach. Usually, the common denominator is to come up with better products, and satisfy all kinds of popular demands. Some marketing companies which manage billions of consumers and businesses data monthly, have enormously increased their digital tracking data collection system, in the last few years. The question is: Who has access to all this vital information, and what do they need it for? Going back to the initial good intention to develop a better product for consumers, the fear of all our personal information falling in the wrong hands, creates a real fear: How secured is our information today? Unfortunately, the answer appears to be: Not very, honestly. Just go on the Internet! Even to become a recipient of “freebies”, you will have to answer a lot of questions, over and over again, just to receive a free sample of detergent? Really? Everyone wants your information on these days, for some reason. Personally, I feel kind of uneasy telling someone if I owe or rent my home, and how much money I make per year, or how old my children are. It seems that on these days, nothing is private anymore. It used to be that the only place where you would find your very personal information, was in your credit report, and in order to get to it, you would have to disclose your Social Security number. Not anymore! I did GOOGLE my name the other day, just for curiosity, and when the screen displayed in front of me, I got chills! Not only mi information was displayed, but also my kid's, my ex husband's, and even my parents names were there! My date of birth, and all my past addresses were also revealed. In other words, my whole life was right on that screen, for just about everyone to see it! I felt totally stupid thinking how many times I whispered my personal information at the bank, when really and truly, everything about me was just a click away on the web. Americans are reacting more and more to this “demanding” disclosure of personal information. There was supposed to be a “Privacy Act” years ago, what happened with that? A new research “Anonymity, Privacy and Security On line” (www.post-gazette.com) revealed that: "86% of adult Internet users, have already taken steps to avoid surveys on line, 55% of consumers will do every possible maneuver to avoid surveyors in person, and more than 50% of consumers are worried, about the amount of their information available on line". -Research the source where the survey is coming from, you can check with the Better Business Bureau, if that makes you feel safer. -Ask questions first before you sign anything, like: What is the purpose of these questions? How secure is my information? Where do I look for the results of this survey? Who is the researcher, and the name of the surveyor? And NEVER disclose your Social Security number to ANYONE! -Never answer personal questions when you are surrounded by people, and never in a public place. If you answer questions on the Internet, you are at higher risk to become a victim of Identity Theft. -Analyze the purpose of the survey you are about to take, is it worth to release your personal information to receive free samples? Maybe not! -Do not disclose information about your kids! -You address, e-mail address, and phone number are going to be shared with third parties, even if you are advised they will be not. So be prepared to start receiving all kind of unsolicited contacts, at any time. -Only participate in reliable surveys and for a good purpose, and only after you do your own survey about the source. You have the right to request information too, and contacting whoever is necessary to request that company's credentials. The main purpose of a good survey, is to collect data in order to study the preferences, and needs of different groups of people. This is done in order to improve their lifestyles, acquiring knowledge in reference to satisfy consumer's demands. So it is up to you, you still have the freedom to choose, if you want to participate or not on those surveys. And if you do, please do it smartly and always taking in consideration that, once you release your valuable personal information, it will always be “out there”, available to others. IDENTITY THEFT, HOW IT HAPPENS? One out of five Americans, will be a victim of Identity Theft during their lifetime. Actually, this crime has grown so much in the past few years, that Identity Theft has been placed as one of the most profitable crimes in our country, only compared to drug trafficking. These criminals are not only smart, but they have developed a sophisticated technique, which involves deceiving and depriving individuals of their personal information, to the point where they completely lose control of their identities. -Contact the IRS and ask questions about your account. The agents will be able to advise you, if there is any abnormalities, in reference to your filings. Be aware that they will contact you via mail, if any unusual under reported income is received, under your Social Security number. -Shred any personal information containing your SSN, including all records, correspondence, etc. -Never carry your SSN card, or any other vital piece of information with you. And in the event of a burglary to your home or car, involving personal documents, report it immediately to your local Law Enforcement agency. -Never leave personal information visible, especially if you have visitors in your home. DO NOT TRUST anyone when is about your personal information. -Do not disclose personal information over the cellular phone, and nevertheless if you are at a public place, or surrounded by strangers. 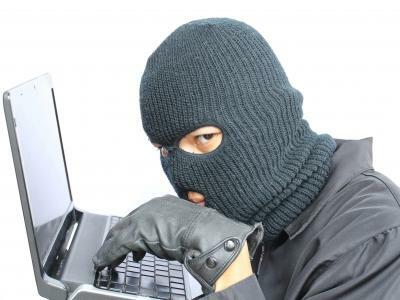 Even the coffee shops offering free Internet, are a nest to these criminals, using lap tops. -Keep all your personal information in one secure place, a safe box is the best place to safeguard your important documents. -Make copies of all documents, and place them in a safe place as well. -Make sure your tax professional is recognized by the IRS. Cheaper don't always means better,make sure you are dealing with a real, honest professional. -Place a “fraud alert” by calling everyone of the Credit Reports agencies (EQUIFAXX, TRANS UNION, and EXPERIAN). This way, every time someone request credit with your SSN, you will be notified. -Check your kids credit reports too. These criminals prefer to use minor's and deceased individual's SSN, because they are not in use. As a result, these affected kids will find out, when they become adults, that they are already in debt and their credit ruined, because they were victims of Identity Theft. -If you travel out of the country, make sure you don't disclose your personal information either, and keep your passport in a safe place. Just carry a copy with you, if it is absolutely necessary. -Finally, get a prepaid card if you like to shop on line. Never disclose your full SSN, even if you think you can trust that specific site. Also, be aware that by giving away certain pieces of your personal information, you are providing these criminals with a personal “puzzle” which they are experts on putting together, such as your date of birth, full name, SSN, driver's license number, and place of birth. -Report immediately any lost documents, time is crucial. Prevention and information, are really the best tools against these thieves, use them wisely. Good advice. I usually tell slight untruths about certain personal data, like a few days off on my actual birthday, or birth month, change the ages of my kids, little things like that. I never give out their names, or any sensitive personal information.